Filippo Sepe presents his 2015, shows, events and collections. a little taste of the season just ended, this first part of 2015. 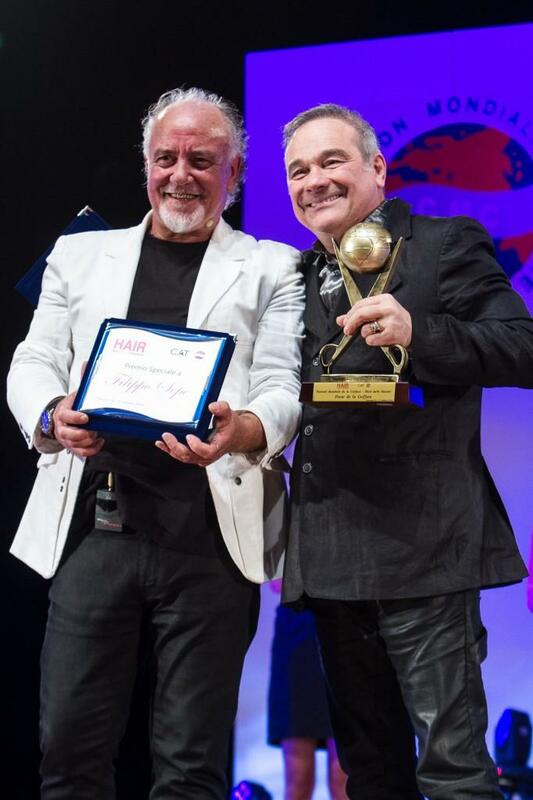 Autumn and spring are for the hairstilist always a very eventful time, between exhibitions, shows, new collections, and in the case of Filippo Sepe for his intense activities as trainer, which brought him in the last years to levy a huge success in Italy. The ability of Filippo Sepe to make his appearance, every show, every action a unique event is reflected in the huge following that he has between hairstilist colleagues. Its stand at the exhibitions, his stage, his shows on the major catwalks are always very intense moments where taste and elegance meets Italian creativity and modernity. Filippo confirm himself precursore in a key sector in the knowledge of hairdressers: updo styling. We believe it is important as well as nice to share with those who followed us with constancy and passion the results of this first part of the year that gave us satisfaction, emotion and a lot of charge, to face starting from september, a fall that promises to be very “hot”. So this video to you, thanking you for the affection always show and the passion with which you continue to do a job which gives a lot of satisfaction but, given the timing, that requires a lot of sacrifice. This entry was posted in video en and tagged filippo sepe show, Updo, updo hairstyle, video filippo sepe. HAIR CARE/ moringa seeds for perfect hair!